Guam is a warm and idyllic tropical paradise complete with pristine beaches and friendly locals. This is a top destination for beach lovers, and tourists who simply want to enjoy a big dose of sun and sand. Guam is also the best place for surfing. 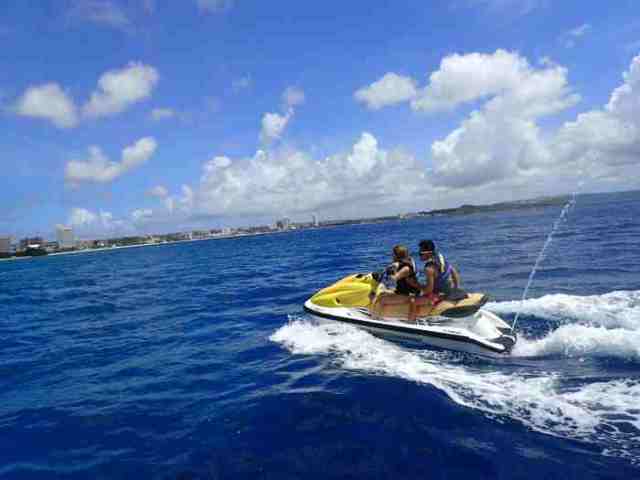 Aside from the usual beach-related activities like swimming, getting a tan, playing beach-volley, surfing, jet skiing, and the like, there are a couple of other fun things you could do to enjoy Guam. One is scuba-diving, particularly to check out a particularly unique shipwreck. On the seabed near the Apra-harbor rests two ships that were wrecked during turbulent times. There is also a German ship that sunk during World War I, as well as a Japanese ship that sunk during World War II. These two relics of the past are almost touching each other, despite coming from two very different times. It’s a sight to behold when you explore these huge shipwrecks resting on the seabed. 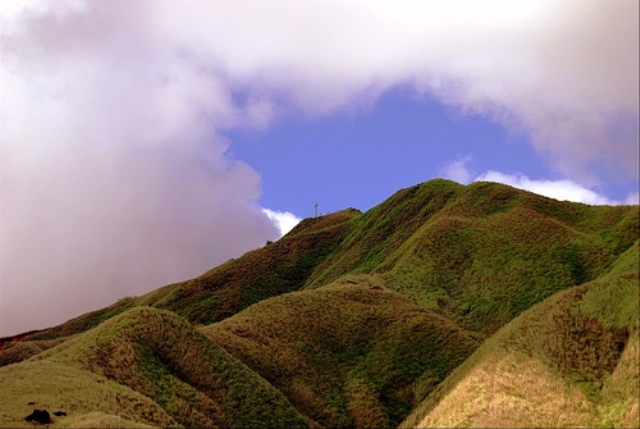 Another thing to do in Guam is hiking. The trails here are beautifully diverse. In fact, it won’t be difficult for you to walk by forests, waterfalls, and arid landscape. You won’t get bored with the changing landscape and the hiking challenges that each place will bring, whether it’s a slippery hill covered in flowing water or a steep surface covered with vegetation. You can also try riding a carabao just for the fun of it. These huge lumbering buffalos can reach 2000 pounds, and they have been used in Guam for centuries to help farmers till the land. Some places in Guam allow you to ride a carabao around different parts of the island. It’s a novel activity because you can’t go anywhere far since carabaos walk very slowly. While we’re on the subject of animals and wildlife, why don’t you go ahead and catch a coconut crab near the beach. Coconut crabs are the largest arthropod species on earth, but they are actually pretty friendly despite their size. These critters are a common site in Guam’s shores. Besides the beaches, dive sites, mountain trails and lagoons that make Guam a leading tropical getaway destination, there are also magnificent waterfalls. One of the most intriguing waterfalls in the island is Sigua Falls, which is actually two different falls, the Upper and Lower Sigua Falls. 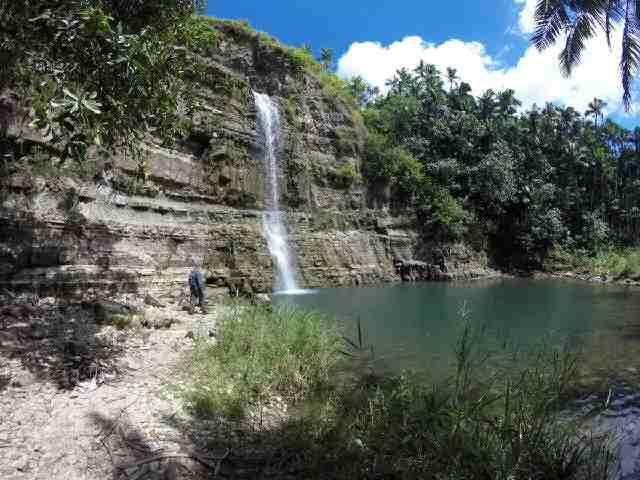 Visitors prefer visiting the much larger Lower Sigua Falls. Pago is the largest and most beautiful bay at the eastern coast of Guam. Of the many dive sites teeming with different forms of marine life in the tiny island-nation of Guam, Pago Bay was chosen as the location of the University of Guam’s Marine Laboratory. Perhaps one of the most recognized icons in the world is the Statue of Liberty that stands in New York Harbor. It is no wonder it has hundreds of smaller replicas all over the world. 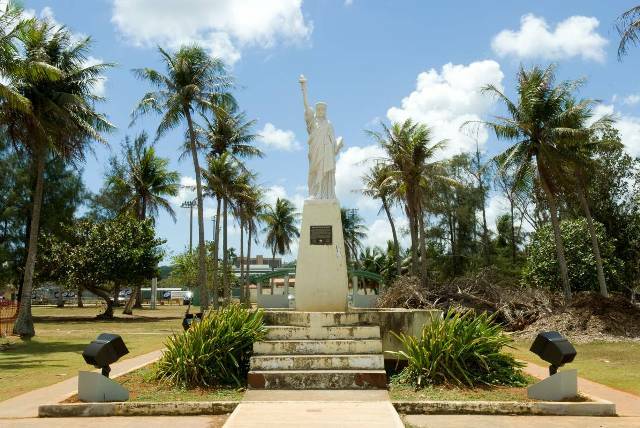 The scaled-down Guam Statue of Liberty is a tanned replica that stands in Paseo Park very near the Hagatña Boat Basin so that all arriving and leaving boats can see it. 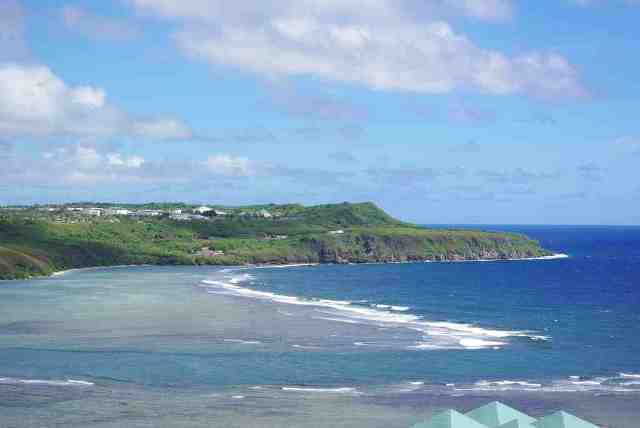 Hagatña is the capital of Guam.